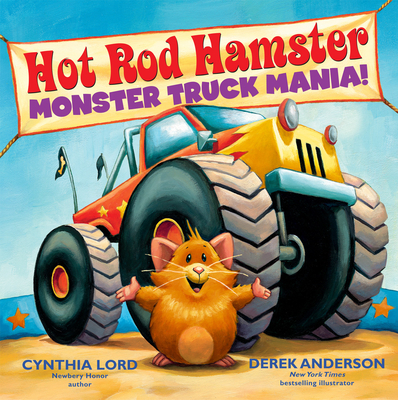 The award-winning, bestselling team Cynthia Lord and Derek Anderson are back with the best Hot Rod Hamster adventure yet: Monster Truck Mania! Cynthia Lord is the award-winning author of RULES, a Newbery Honor and Schneider Family Book Award winner, as well as the critically acclaimed TOUCH BLUE. She made her picture book debut with HOT ROD HAMSTER, which won several awards including the Parents' Choice Award, and followed it with the beloved sequel HAPPY BIRTHDAY, HAMSTER. She lives in Maine with her family. Visit her at www.CynthiaLord.com.